FROM BAD SECTORS IN HARD DRIVE? Taking into consideration that bad sectors will be eventually created over the usage life of the hard drive. There are some effective ways to repair hard drive bad sectors and execute data recovery methods which can help you recover the lost data. Bad sectors in a hard drives can often be corrected by using a spare sector built into the drive. However, any information written to a bad sector is usually lost. Always keeping your hard drive backed up makes sure that even if the whole hard drive is corrupted, you can simply format it and recover it using this backup. Hard drives are scanned thoroughly scanned and searched to identify corrupt files and inconsistencies which can fix basic file issues and inconsistencies. But if errors keep persisting even after this step, this calls for a need to avail professional advice. This is a thorough sector-by-sector examination to find bad sectors. Once encountered, the bad sectors can be marked so that they are not utilized for future storage purposes. SMART stands for Self-Monitoring Analysis and Reporting Technology. This method indicates the physical state of the drive in the present scenario. Informs user about the hard drive bad sectors leading to imminent hard drive failure. For data recovery experts, recovering sensitive data from bad sectors is usually easy. Once they get the hard drive, the first (and mandatory) step that is followed is that the hard drive is cloned. This is done to prevent/avoid any loss of data on the drive due to data recovery activities. The process acts as a security measure and makes sure that the original data is retained. The logical lab at Stellar involves similar processes to handle logical errors in hard drives. We mostly receive cases of severely affected hard drives that don’t require to be operated in a class 100 clean room lab. As soon as the hard drive reaches the logical lab, the experts get on with the process. Once the experts get a reliable blueprint of the hard drive, they scan it one sector after another to recover the data. As one might guess, this process takes some time to complete. The idea is that since the software will move sector by sector to read the data, sooner or later it is bound to encounter the targeted bad sectors. This also minimizes the damage on the head and platter. Once the software scans the drive and the image of the data is created, it can be recovered. 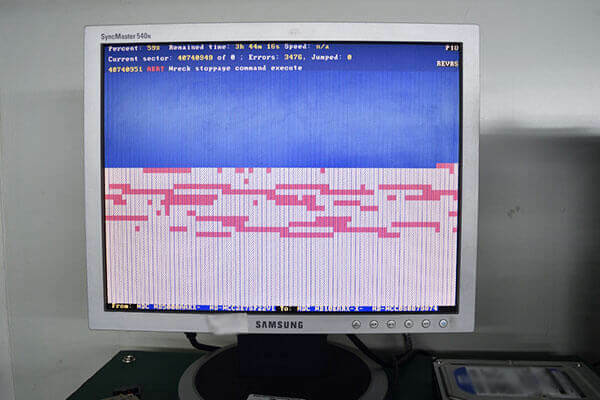 Although it might be impossible to repair the bad sectors in hard drive, the data can still be recovered. In an everyday scenario, there is a 70-80% chance of data recovery from bad sectors when professional services are used. We at Stellar have made sure to extend you help in every step of the process. We offer the best software to fix bad sectors on hard drive - Stellar Windows Data Recovery Software. The software comes with a feature that allow users to create an image of hard drive and their local volumes, or any removable media like pen drives or external hard disks. The ‘Starting’ and ‘Ending’ sectors of the storage device are determined and the image is accordingly created. 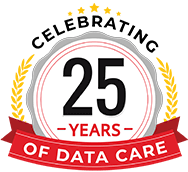 This makes sure that even if there is a mishap during the data recovery process, you can always roll back to the initial stage and easily start the process again. 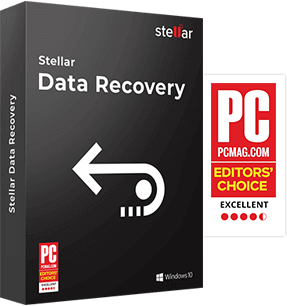 So if you are facing any of these issues, Stellar Windows Data Recovery Software can make your life easier be recovering every bit of data that you rely upon! So this was every bit of crucial information that should be in your arsenal in case you encounter a bad sector infected hard drive or storage device. Always look out for symptoms of bad sectors. Neglecting them can compound the problem and lead to more bad sectors in hard drive. Bad sectors will exist as long as hard drive exists, you don't need to panic in case you encounter bad sector on the hard drive. When a hard drive has bad sectors, it turns inaccessible and its in the best interest the users start taking back up of data on a new drive.